Call today for free and thorough assessment of your home or commercial business foundation. Foundation Repair Syracuse is the leader in basement and crawl space solutions for residents and commercial businesses throughout Central New York State. We fix foundation cracks, leaks, sagging, and bowing, fast and affordably. Best of all, our work is backed by 100% satisfaction guaranteed. We can make that promise thanks to our vast experience in repairing a wide range of foundation problems and the use of tried and true technology. If you think you may have issues with your foundation or crawl space, do not hesitate to have it inspected by a professional. Addressing problems before they become much bigger will save you thousands of dollars and plenty of frustration – and keep you safe in your home. The good news is that the majority of foundations we inspect only need cosmetic crack treatment that is low cost and will alleviate basement leaking and additional cracking fast. We look forward to serving you today. Call Foundation Repair Syracuse at 315-888-5379 for a free home or commercial business estimate and reliable foundation and crawl space repair services and solutions. We know that having to deal with a foundation issue can be very stressful. For homeowners, it can mean taking you away from work, your family, and your daily routine. For businesses, it can mean lost production and revenue. No matter, the situation is frustrating. That’s why Foundation Repair Syracuse is dedicated to fast, effective, and dependable foundation restoration services. We will do our very best to serve you as quickly as possible at price that fits your budget so that you can get on with your day as usual. We repair cracks in your basement caused by settling and bowing. Most cracks can be fixed without tearing down the entire foundation and starting from new. The quicker cracks are repaired, the less likely they will become bigger problems for your home. 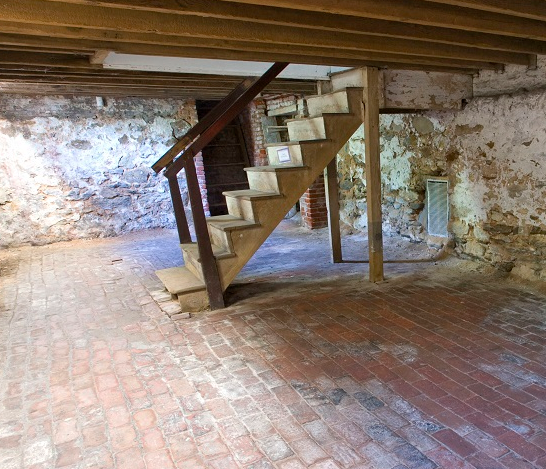 From foundation cracks to poor yard drainage, many factors can lead to wet basements. We diagnose the problem, find the cause, and take the correct measures to keep your basement dry and free from odor and must. Taking preventative measures can save you money in the future. Keep the ground surrounding your home or business and your basement dry with our many yard drainage solutions. From sump pumps, to drainage pipes, downspouts and more, we install features that prevent yards from becoming water logged. Whether it be a commercial business, restaurant, municipal or government building, we provide many foundation installation and repair services. We specialize is providing proper foundational support for new construction. Don't forget about you chimney. Extend the life of your chimney and keep your family safe with regular inspection, maintenance, and repair. We rebuild and replace failing chimneys, waterproof chimneys, and install caps. We stabilize bowing basement walls to keep your foundation structure safe. We do this by installing bracing to your foundation that will withstand shifts in soil and pressure from growing tree roots. We employ stabilizing options to address your bowing problem. A problematic crawl space can be a major hazard for any home. We repair sagging crawl spaces with support jacks, install dehumidifiers to prevent mold and wood rot, and encapsulate and insulate crawl areas to keep them free of debris, rodents, critters, and other small animals. A perfectly functioning sump pump can keep your basement dry and potentially save you thousands in damages. We install, maintain, and repair all brands, and styles of sump pumps for homes and businesses at an affordable cost to you. We deliver thorough on-site assessments to get to the root of the problem and determine the right solutions. This allows us to make long-lasting repairs, prevent future problems, and offer solutions that are proven and less expensive. In addition to foundations, we provide a full-range of residential and commercial masonry services. Our expert masons deliver restoration, repair, and installation of brick, stone, concrete walls, driveways, walkways, patios, steps and more. Think you may have a cracked or bowing foundation or crawl space? Sometimes identifying foundation problems are impossible with the naked eye. When it comes to foundation repair companies in Syracuse and Central New York, we know that you have many reputable companies to choose from. A lot of them even have decent reviews on Yelp, Google, Facebook and Thumbtack. But they don’t provide the same value, expertise and customer service that Foundation Repair Syracuse has delivered to its residential and commercial business customers for years. Why pick us to repair your foundation? Consider the following five reasons. We may or not be the cheapest option for foundation and basement repair in our region, but we provide the most for your dollar. We offer upfront on-site assessments and quotes that are accurate and free and require no obligation from you. Considerate of your budget, we also offer many financing options and warranties to help you finance your unexpected home or business emergency. Being in the foundation repair business for so many years, we know that one remedy doesn’t fix all problems. That’s why evaluate the problem, analyze every piece of the puzzle, and build a custom design solution for your damage foundation. When you call on us for any job, you become our top priority. We never fool around on the clock. We never leave your project for another one. And we never leave until your completely satisfied with our work. You’ll love our licensed and insure technicians. You might even invite them over for dinner sometime. Our expert employees dress the part, treat you with respect, and are happy to help you out. We look forward to greeting with a smile and kind words. Depend on our certified structural technicians at Foundation Repair Syracuse. Remember, do not wait to call if you believe you may have structural damage to your home or business. Call us at 315-888-5379 today to get started. If you ever forget how to contact us, simply type “foundation repair contractors near me” in Google. We provide thorough foundation inspections that include a detailed job assessment and written price estimate – with no obligation – for folks in Syracuse, Clay, Cicero, Baldwinsville, Oswego, Liverpool, Cortland, Ithaca, Fulton, East Syracuse, North Syracuse, Auburn, Utica, Rome, Marcellus, Manlius, Skaneateles, Jamesville, Fayetteville, DeWitt, Camillus, Onondaga, and throughout Central New York. Quality and affordable foundation repair services in Syracuse and Central New York. Call (315) 888-5379 for a free estimate.